Original article can be found on BuggyAndBuddy.com . 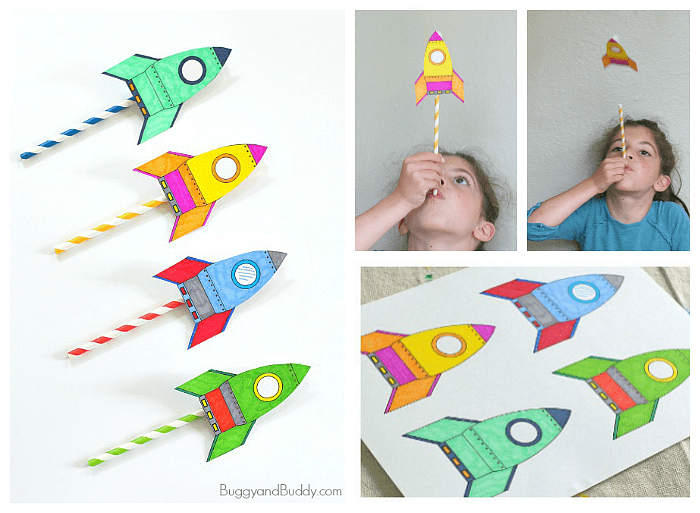 Print out our free rocket printable and have fun making some straw rockets! The kids loved designing their own rockets and then launching them using straws- such a great way for kids to explore science! We designed our own rockets and launched them using straws! 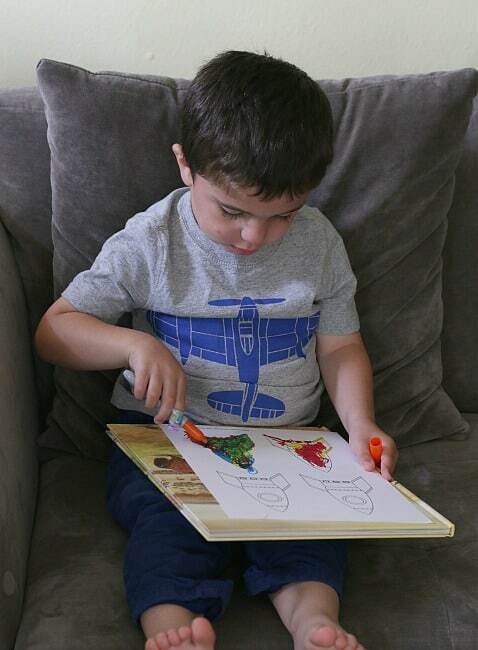 This activity was definitely a hit with both Lucy (age 7) and Theo (age 3 1/2). 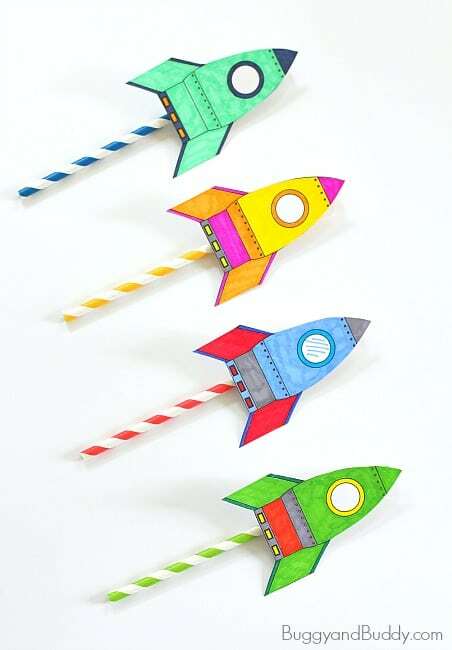 The kids loved seeing how far they could get their straw rockets to go and had fun trying them out at all different angles.